Hide deals from seller "Ash's Magic Shop"
Limit 1 per person and 1 per family. Valid on a private Mr. Ash's magic show. Choice of either children's show or adult show. By appointment only; cancellations require 1-week notice. Promotional value expires 60 days from purchase. Add a little magic to your next event with 10% off a private magic show from Ash's Magic Shop in Ravenswood ($200 value). 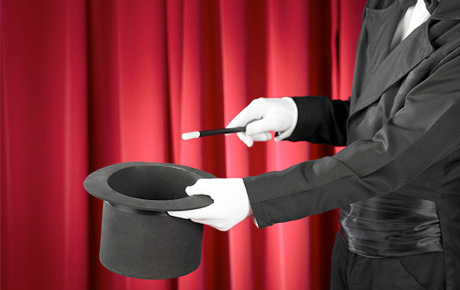 Select either a children's or adult show, each of which include magic tricks, humor, jokes and gags with audience participation. A magic shop in Ravenswood that sells tricks, jokes, books and more.